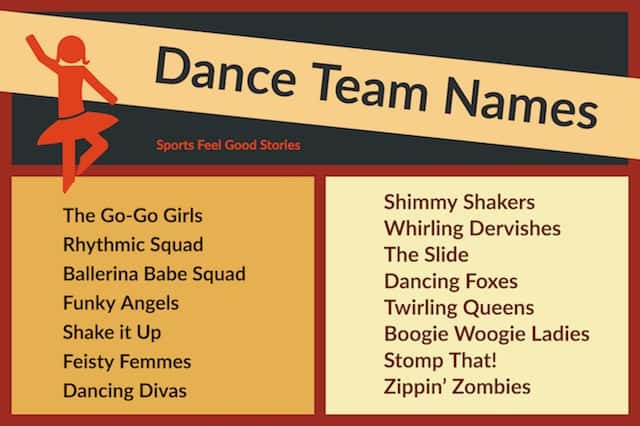 Dance team names help your squad get in the right spirit before practices and competitions. Take a look at the lists below, be creative, and come up with a squad name that your group will love. Dancing Fun Fact: Saint Vitus is the patron saint of dancers. Check out “Dance to the moon and reach for the stars,” and “Dance is music made visible,” other great dance slogans. Fun Fact about Dance: Jules Leotard, a French acrobat, invented you-guessed-it, the leotard. Apparently, he designed the piece as a showcase for his muscular body. You might like: “My superpower is dancing in heels” and other fun dancing quotes. Fun fact about dancers: Research shows that dancers have a more positive outlook on life and higher self esteem. Hip Shaking Wave Making Groove Team. 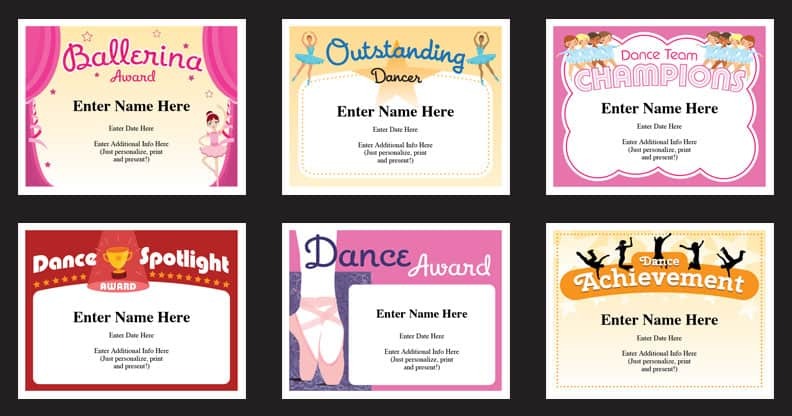 Check out these customizable, dance certificates templates. 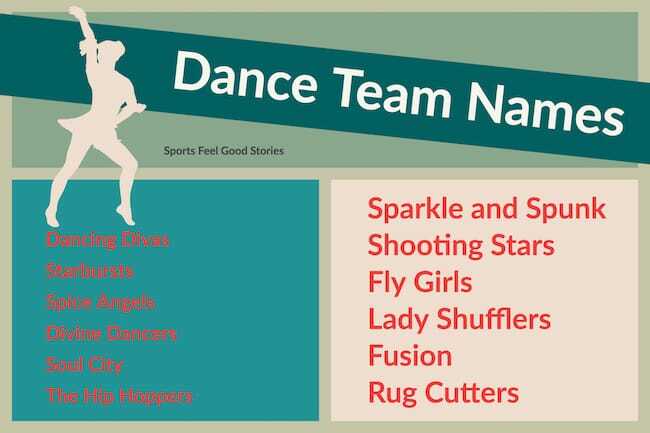 You’re on Dance Team Names.